A guest post by Jack White. It doesn’t matter how excellent your content is, this is worthless if you were unable to get your blog post titles clicked on by your readers. Titles describe your post’s subject and sell your story. It is the title that is viewed on social media and in search results. Therefore these need to be written to grab the attention of your readers. An excellent title has the potential to go viral, while a bad version could plunge you deep into search engine oblivion. That’s why there is such a fuss about how they should be written. Here is some practical advice to help you with writing blog post titles. And you could always begin by reading posts which offer title suggestions. 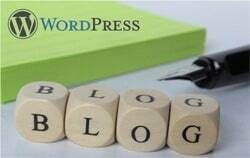 The number of words a title should contain cannot be agreed by blogging experts. 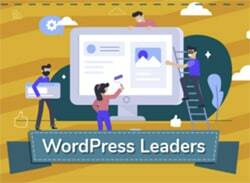 Kissmetrics claim that 6 words is optimal, while Hubspot’s research shows that titles from 11 to 14 words gain the most social media shares. However Google limits the number of characters in the search snippet titles to 71. That means any titles that are longer than this amount will ‘fall off’ the end. Whatever anyone thinks, the common opinion is short and medium-length titles are the most successful. There is no perfect number of words. The best advice is to keep it concise and simple, and ultimately understandable. SEO (search engine optimisation) and SMO (social media optimisation) are both your best and worst enemies when it comes to creating clickable blog post titles. It’s a good idea to include keywords, but be careful how you use them. Placing too many in your title could be counter-productive, as Google tends to penalise such behaviour. Selecting the most appropriate keyword will help increase your traffic. Work out which phrases people are most likely to be looking for, because these readers are far more likely to click on search results that closely match their search term. Your goal is to write intriguing blog post titles, with suitable keywords, that is easy to read and makes sense to the reader. An easy way to get people to click on your blog post titles is to promise an overwhelming benefit for them. Ensure your titles resonate with your readers’ needs or relate to any mistakes they may make. If they see value in your headline, they will be more likely to respond favourably. However, these titles need to clearly state what the reader will get if clicked on. In other words, the post needs to deliver on that promise. Anything else and your credibility will soon evaporate. Your readers’ relationship with you is based on trust, which if undermined will cause them to leave and never return. Blog post titles need to be short, descriptive and concise. They need to punch where it hurts to draw attention to themselves. And they need to say exactly what’s on the tin. For example, Problogger’s 5 Tips To Writing Irresistibly Clickable Blog Titles is much better than the one used for this post. Marsden Marketing tested the concept of numbered blog post titles. Their results show using numbers results in a higher chance of titles being clicked than those without them. The reason is unknown, but maybe a numbered title stands out more, and readers know exactly what to expect from a listed post. Lists are quick and easy to read, and this order can be more attractive to time poor readers. Digits can be appealing, make headlines short and simple, and therefore are more attractive and noticeable. Apparently the most beneficial number to use is 10, closely followed by 5. Remember who will be reading your posts. Your readers should be your captive audience. It’s all very well writing blog post titles that attract the search engines, but this is not your final point of interest. Without readers your blog will fail to exist. Focus on emotions, passion and empathy, rather than an optimised title without any soul. Never forget what inspired you to write the post in the first place. Your passion will draw the best from you, and make your blog post titles come to life. 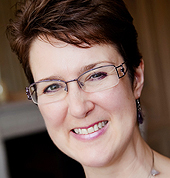 Write in a style that is attractive to your readers, principally in a conversational mode. 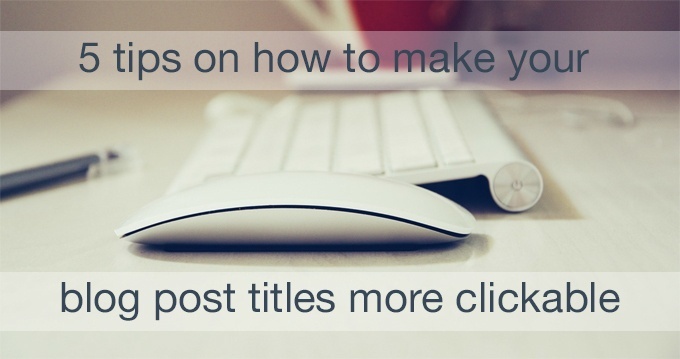 Your titles should reflect this, and pinpoint something your readers can relate to. If they don’t have an affinity with your headlines, they will have no desire to click on them. How are your blog post titles? Take heed of the advice above and try and implement within your own blog post titles. And let us know in the comments below if this makes a difference. Also if you have any more tips to add to this list, please share them with us so we can all benefit! Jack White always wanted to be a great writer, but he also knew that it would take a lot of hard work. During the last years he has written dozens of online articles and also works as a proofreader at essays.scholaradvisor. He hopes to continue his success into the distant future.